0630 hrs After breakfast, proceed for an earl morning game drive. Return to amp/lodge for lunch 16hrs. After lunch a further game drive. Dinner and overnight at the camp/lodge. Full day game viewing in the Mara with an optical nature walk or a visit to a nearby Masai village in between meal breaks. Dinner and overnight at the camp/lodge. Visit to the Masai Village will cost extra. 0630hrs: After breakfast depart for an earl morning game drive. 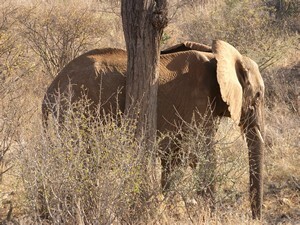 Return to the camp/ lodge for lunch .16.00hrs, another game drive. Dinner and over night at the camp site/ lodge. 0800hrs:After breakfast leave somber foe Nanyuki at the base of Mount Kenya for lunch, drop off clients who want to stay behind to climb Mt. Kenya. After lunch, leave for Nairobi.